White House press secretary responds to Iranian rocket attack on IDF posts in the Golan Heights. 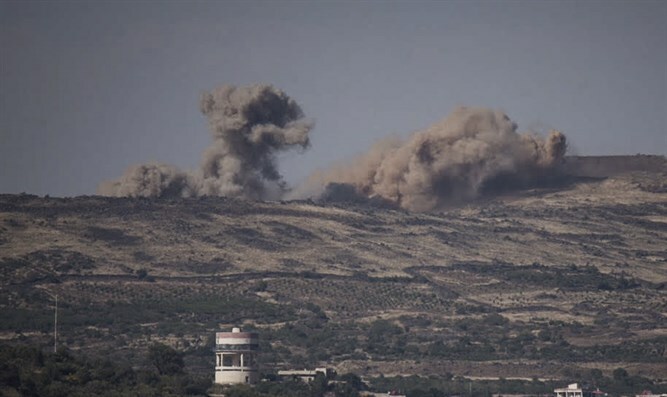 White House press secretary Sarah Huckabee Sanders responded on Wednesday night to the Iranian rocket attack on IDF posts in the Golan Heights. “Again, I think this activity and this action is just further demonstration that the Iranian regime cannot be trusted and another good reminder that the president made the right decision to get out of the Iran deal,” added Huckabee Sanders, in a reference to President Donald Trump’s announcement a day earlier that the U.S. was pulling out of the 2015 Iran deal and would reimpose sanctions on the Islamic Republic. Her comments came hours after the Iranian Qods Force fired a barrage of 20 rockets at IDF forward posts on the Golan Heights.